My name is Beth O’Brien, and I’m really new to palliative care, although I’ve been a nurse practitioner for 21 years, and I’ve always been interested in palliative care. And so I really needed a way to kind of work into getting the knowledge base that I needed, even though I’ve been a clinician for so long, it’s such a specialty. And so I enrolled in the CSU Institute for Palliative Care, and it’s an online program. And it’s just amazing with the content and being able to interact with other students that are also advanced practice nurses and come from varied backgrounds. All the material is so relevant. You know, I’ve said to so many people, every provider, clinician should take this course. When we first started out, I mean, it was things like leadership. I thought I knew about leadership. I already have a master’s degree, right? I mean, no, I learned so much. Communication skills. I’ve been a nurse midwife for 21 years. I thought I had great communication skills. But I still–it deepened everything for me. And I’m just really grateful for the experience. The instructors have been really wonderful. And when I had trouble, I called them right away, you know, they walked me through it. They’re very compassionate and really read what people are saying and really put thoughtful input back out to the students, which I think is so incredibly valuable. This APN course has given me the confidence and the skill set I need to be able to face almost any situation. Of course, life is unpredictable, and I’ll have to think on my feet, but I really feel like it has been an incredibly valuable experience. The Advanced Practice RN Certificate in Palliative Care is an online program that puts the APN or APRN on the path to becoming an expert in palliative care. Advanced Practice Nurses will receive an in-depth examination of a broad range of current topics in this growing field – all in working partnership with experienced palliative care nursing experts. Register for the brochure on this course by clicking HERE. What sets this nursing education program apart? My name is Andrya Burciaga. I’m a family nurse practitioner who is working in palliative care at my local hospital. And I just completed the AP-RN certification in palliative care with CSU, and I absolutely love the course. I encourage anybody to take the course, especially if you’re really interested in palliative care because it gives you more than a sense of generalistic palliative knowledge. I’m very enthusiastic about the course so I encourage anybody to do it. One of the things that I really enjoyed about the course was that it was really able to help you with symptom management which I feel, a lot of times, even though we’re trained in school and we practice, a lot of it is what you learn and basically what you know from very limited resources. And the coursework was really able to teach you from the best of the best. It was informative. It was easy to communicate through discussion boards. The professors were very engaging. They were able to give a lot of information. And I just thought it was an excellent course. So I think one of the reasons why I joined the course was because I felt like I needed to be marketable and not only marketable but also knowledgeable in the field that I was working. I would highly recommend the course at CSU because it increases your knowledge in palliative care. 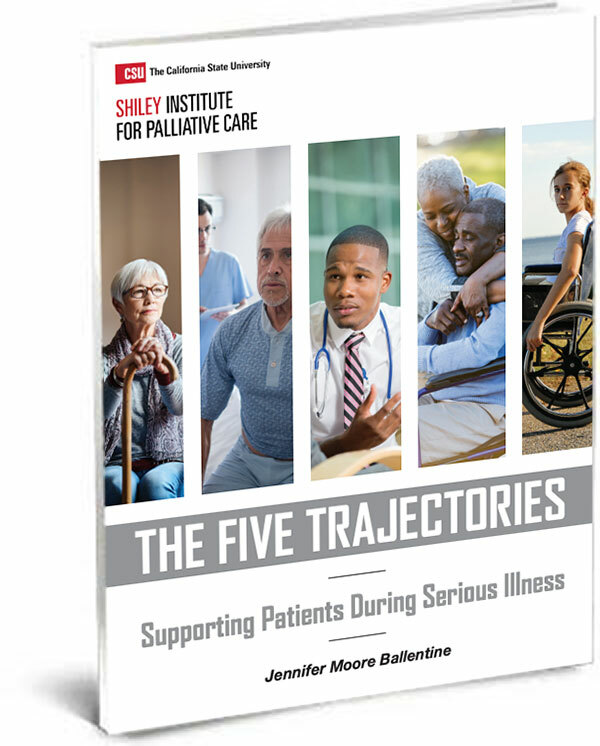 Anyone who’s interested in palliative care, you really get to work with experts in the field and to be able to collaborate and engage with other nurse practitioners across the country. Dahlin, C., Coyne, P.J., & Ferrell, B.R. (Eds). (2016). Advanced practice palliative nursing. New York, NY: Oxford University Press. McPherson, M. L. (2018). Demystifying opioid conversion calculations: A guide to effective dosing, 2ndEdition. Bethesda, MD: American Society of Health-System Pharmacists. Cherney, N., Fallon, M., Kaasa, S., Portenoy, R.K., & Currow, D.C. (Eds.). (2015). Oxford textbook of palliative medicine (5th ed.). New York, NY: Oxford University Press. Dahlin, C., Coyne, P.J., & Ferrell, B.R. (Eds.) (2016). Clinical pocket guide to advanced practice palliative nursing. New York, NY: Oxford University Press. Ferrell, B. R., Coyle, N., & Paice, J. (Eds.). (2015). Oxford textbook of palliative nursing (4th ed.). New York, NY: Oxford University Press.